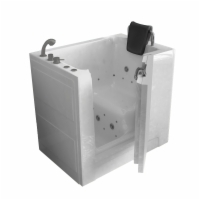 AmeriGlide's Sanctuary Small Easy Soak Walk In Bathtub was designed to accommodate users who require the safety of a walk in bath but have limited bathroom space in which to install one. 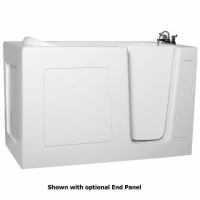 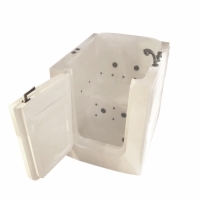 All Easy Soak tubs are constructed of easy-to-clean and long-lasting acrylic, with a low 10-inch step in height and a 15-inch high seat for safety and stability while you bathe. Upgrade your Small Easy Soak walk in tub with optional air and water jets for big luxury in a pint-sized package!